En plus de proposer les meilleurs colliers électroniques du monde, Dogtra offre aussi un service clients inégalé. Notre équipe est à votre disposition pour répondre à toutes vos questions. Vous pouvez nous appeler au +33 (0) 130 62 65 65 ou nous envoyer un mail à info@dogtra-europe.com. Dogtra Company provides the original purchaser with a comprehensive Platinum 2-YEAR WARRANTY for the EDGE. The warranty begins from the date of purchase. For the first two years, coverage is for Parts, Labor, Accessories, and Outbound Shipping. After the first two years, the Limited Lifetime Warranty covers Parts only. The Limited Lifetime Warranty does not cover Labor Fees and Accessories such as chargers, splitter cables, antennas, straps, and batteries. The cost of Accessories, Labor fees, and Shipping fees incurred are the customers responsibility. Labor fees will be variable depending on the extent of the work required. The Limited Lifetime Warranty expires 5 years after a model is discontinued from production by Dogtra. Dogtra Company provides the original purchaser with a 2-YEAR WARRANTY for the 175NCP, 180NCP, 200NCP Gold Series, 210NCP Series, 280NCP Series, 300M Series, 1400NCP Series, 1500NCP Series, 1600NCP Series, 1700NCP Series, 1800NC Series, 1900NCP Series, 2000T&B Series, 2200NCP Series, 2300NCP Series, 2500T&B Series, 3500NCP Series,SureStim Series, ARC, Combo,and the EDGE RT. The warranty begins from the date of purchase. For the first two years, coverage is for both Parts and Labor on warranty repair services. Accessories such as chargers, splitter cables, antennas, straps, and batteries are covered for the first year only. After the first two years, the Limited Lifetime Warranty covers Parts only and does not cover Labor Fees and Accessories. All Shipping fees incurred, the cost of Accessories after the first year, and Labor fees associated with out of warranty repair work, are the customers responsibility. Labor fees will be variable depending on the extent of the work required. The Limited Lifetime Warranty expires 5 years after a model is discontinued from production by Dogtra. 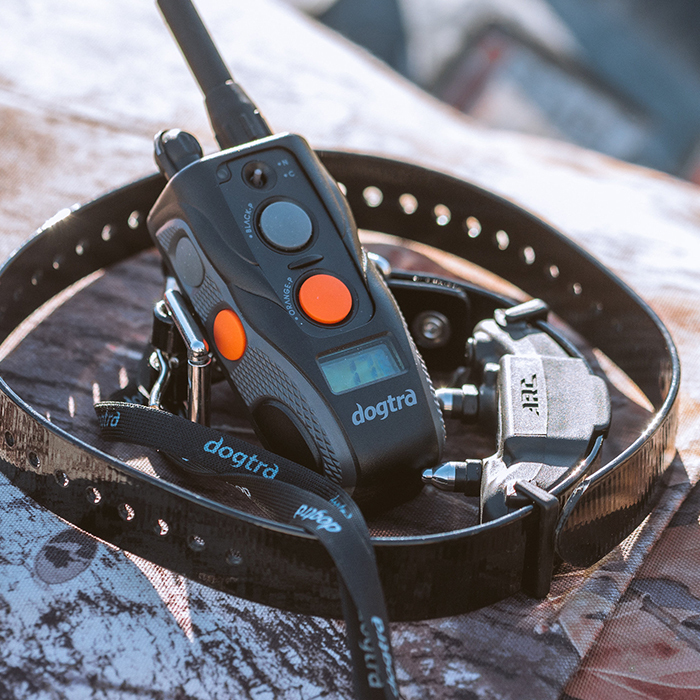 Dogtra Company provides the original purchaser with a 1-YEAR WARRANTY for the iQ Pet Series, eF-3000 Gold, RR Deluxe, YS300, and YS500. The warranty begins from the date of purchase. For the first year, coverage is for Parts, Labor, and Accessories. After the first year, the cost of Parts, Accessories, Labor fees, and Shipping fees incurred are the customers responsibility. Labor fees will be variable depending on the extent of the work required. Dogtra DOES NOT offer warranty for products that have been bought secondhand or as a resold product. Dogtra DOES NOT replace defective units or provide refunds for products purchased from us after 30 days from the date of purchase. Dogtra DOES NOT cover the cost of shipping outside of the Continental United States. Issues of replacement and refunds on units purchased less than 30 days from an authorized dealer must be addressed to the dealer directly. If the products purchased from an authorized dealer are after 30 days from the date of purchase, please send the units to Dogtra for service and repair. Dogtra DOES NOT cover the cost of repairs and replacements due to misuse by the owner or dog, improper maintenance, and/or lost units. Any water damage on the Water Resistant Transmitters of the 175NCP, 180NCP, 200NCP Series, 1400NCP Series, 1500NCP Series, and iQ Remote Trainer, and the Water Resistant Receivers of the RRS, RRD, and RR Deluxe, will not be covered. All replacement costs for either the transmitter or receiver will be the owner's responsibility. The warranty is void if the unit has been altered or an unauthorized person has damaged the unit while attempting repair work. Battery replacement by the customer during the first two years of the Platinum Limited Lifetime Warranty, and the first year of the 2-Year Limited Lifetime Warranty and 1-Year Comprehensive Warranty, is not recommended. If the customer chooses to replace the batteries, any damage to the unit during the change-out by the owner will void the warranty. The removal of serial numbers from any Dogtra products will void the warranty. Dogtra reserves the right to retain and discard any parts or accessories that have been found damaged upon replacement and repair. If the unit is malfunctioning, please refer to the "Trouble Shooting Guide" in the Owner's Manual and call customer service at 1-888-811-9111, for technical support before sending it to Dogtra for Service. The cost of shipping products under warranty back to Dogtra is the customer's responsibility. Dogtra is not responsible for units damaged or lost in transition to Dogtra. Dogtra is not responsible for loss of training time or inconvenience while the unit is in for repair work. Dogtra does not provide loaner units or any form of compensation during the repair period. A copy of the sales receipt showing the purchase date may be required before warranty work is initiated. Please include a brief explanation outlining the problem and include your name, address, city/state/zip code, daytime phone number, evening phone number, and email address. Or you can download our SERVICE REQUEST FORM. If the repair costs are not covered under warranty, we will call you for payment information and authorization. For any questions concerning your Dogtra products, call us toll free at 1-888-811-9111, M-F 8:30AM - 4:00PM, Pacific Standard Time, or email us at repair@dogtra.com for specific repair inquiries.